Ancestral Veneration is one of the most ancient religious and spiritual practices. The respect and belief in an afterlife as well as honoring ancestors can be traced back to paleolithic mankind. It is believed that honoring our ancestors was the first religious and spiritual form of ritual work. From ways the dead were buried to views of the afterlife ancestors and the dead were never far from the mind of our paleolithic ancestors, and for some this truth remains today. Ancestral veneration is not worshiping our ancestors, at least not in the common sense of worship. Ancestral veneration is more like honoring the dead in a respectful way. Its a belief that they are still with us in a spirit form. That they can hear us and can effect our lives from the other side. Its a belief that our ancestors like other spirits can help us become the best person we can be and to live the life that we really want and desire. There are exchanges of offerings and gifts. This isn’t worship. In some ways I think of it like when I put a flower on my ancestors grave. Its giving something to them to signify that you remember them and care for them. These gifts can be basically anything. Though some cultures do have rules against some items being given to different spirits. In some cultures flowers are only for the dead and it’s ok to leave offerings to the dead till they rot as this signifies they have taken everything. In other cultures and practices only water is offered to the dead. Even Christianity has mention of the value of prayer for the dead. Working with and honoring our ancestors is a powerful spiritual path and there are many ways to go about it. The act of the gift and the offering is the important thing though. Its through these exchanges that relationships with our ancestors can develop and grow. Its believed that a gift will ensure a gift. Its also believed that because the dead and our ancestors are beyond the veil they have access to energy and powers of the universe that we don’t so by asking them to help us in our work and our lives they can tap into those energies for us. Granted they dont help us unless we help ourselves. So the gifts symbolize our part to do our work. Many religions and traditions have celebrations and days of the dead. Halloween, All saints and All Souls day, Samhain, Dia de los Muertos(Mexican Day of the dead), The Bon Festival (Japan), and Pitru Paksha (Fortnight of the Ancestors-Hindu) are different festivals in different cultures. They have one thing in common. They are all festivals to honor the dead and the ancestors. These are only a handful of celebrations that exist to celebrate ancestors and the dead. The point is that the concept of honoring the dead is still alive and well in this world today. 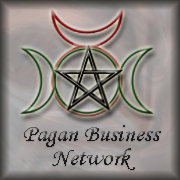 The practice of honoring the dead is starting to become more common in Pagan practices today as well. Part of that is that many of us are reclaiming this practice. It was a part of ancient pagan traditions, so the practice was largely destroyed in the west. For many reclaiming ancestral veneration as a part of our practice not only connects us to our more recent ancestors and keeps our passed loved ones in our lives, but it also allows us to reach the deepest ancestors we have which can be powerful guides for those starting down pagan paths. One of the reasons I am writing this post today is in honor of a new ancestor. A loved one of mine has just crossed the veil. It is this passing that has once again made me think about working with my ancestors and how is really always been a central part of my practice. I haven’t always considered the contact with my ancestors and the shrines to my past loved ones ancestral veneration. I thought it was simply remembering them and keeping them alive. Ancestor veneration is a large part of my practice and spiritual work. My ancestors have a lot to teach me. 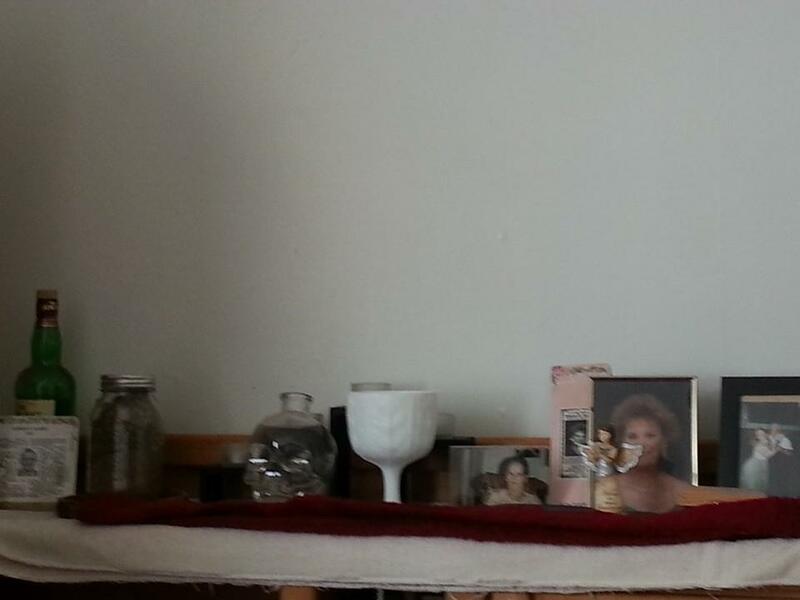 I have an ancestor altar that I pray at everyday. While it is a strong part of my practice these days, ancestral veneration and honoring has not always been a large part of my path. In fact it was at one point something I really only did on the festival of the dead (Samhain) as that was the focus. I thought that was really all that was needed, and at the time maybe that was for my best. When I started to practice witchcraft I had recently lost my Grandmother. Many of the psychics and readings I had done at the time confirmed that she was staying close to me as a spirit guide (I was having dreams of her). So I started working with my ancestors through a single ancestor as a spirit guide. That was 17 years ago. Now I have an altar to all my ancestors as I have learned that any of our ancestors can be our guides and guardians. Originally I didn’t offer any prayers, or much to my ancestors. I would simply say hello to them when I needed to feel their presence. I had a place of memory for them where I could see them and keep them in my life. Then when I started to explore traditional witchcraft as a religious and spiritual practice I heard of the concept of giving them offerings and having shrines and altars to them. So I created one and started an ancestral prayer working. There was a time when I stopped practicing basically everything. Then I started to explore Hoodoo. My interest and desires to understand magic and witchcraft returned. Through this I found more focus on ancestors and honoring your culture. I found that ancestors will be powerful allies in spells as well as in meditations and trance work. So through Hoodoo my work with my ancestors started to develop further and I learned new prayers to use for my ancestors. Now today I have a prayer I say to them every morning and I have a prayer I say every evening to my ancestors. I give them offerings when I perform rituals and I invite them into my ritual circles. They have a part of my day to day life and my spiritual life. I couldn’t imagine my spiritual work without my ancestors at all. They are always there for me and they always will be. I may not be able to physically hold them and see them, but when I need them I can feel them and I know they are always there for me. Being adopted my ancestors actually come in different forms and types. Not all of my ancestors are of the blood. Some are of the spirit and some are of the heart. I have legal blood ancestors and blood ancestors. I have ancestors in all of my families that I don’t know but are my allies through the bonds of the heart and the spirit. I even have ancestors that are not really in my family at all but are in my spiritual family. All of these ancestors have roles to play in my life and I honor them all. I dont consider ancestors limited to just the blood and the heart though.This post is going to discuss the different ancestors I have through my adoption and my spiritual practices and how I can honor and work with each of them. For the longest time I didn’t engage in ancestral veneration because of my adoption. I wasn’t sure if I should honor my ancestors of my adoption, my foster family, or my biological family. Thinking about this also was painful so while I wanted to honor my ancestors I didn’t go about it until I had answered my confusion. That was how I came to see the different ancestral lines. One year I went to the local Pagan Pride day. I typically attend a few of the workshops that go on. This year there was one about ancestral work and contacting your ancestors. The key component of that workshop was a meditation on ancestral lines. During this meditation I saw three lines of ancestral blood flowing from my body. There was a fourth that was some what gray at the time and today its now clear. four primary types of ancestral allies: You have your ancestors of the Blood, your ancestors of the heart, and the ancestors of the spirit. Adoptive ancestors are actually a mixture of two types which I will get into in the next sections as well as being their own type of ancestor. Every one is familiar with the concept of blood ancestors. These are those of your family or blood line that goes back generations. These are the strongest allies that one can have. These are the ancestors that everyone thinks about when they think of ancestors. Ancestors of the blood also include ancestors gained through marriage and long term committed relationships. When I got engaged to my fiance his ancestors joined mine and mine his. We are a family unit. These ancestors go back generations on each side. So the lines of blood ancestors are very long. These are the strongest allies that you can have as a spirit. They are the ones that have your best interest at heart. Through the strands of Fate, and the workings of Wyrd we are always directly connected to our ancestors. Our actions reflect them as much as their actions reflect on us. So we need to honor them in our lives and we need to keep them close to us. Before any other spirit is petitioned the ancestors will work stronger for you and faster for you. There is little that is stronger than the power of the blood. For me I also have my adoptive ancestors, These are the ancestors of my adoptive family. They are the family that raised me and that belongs to me. In ancient cultures at times the roles of the blood ancestors would be replaced by the foster and or adoptive family. In my case I never considered them to replace the blood ancestors at all. I considered them additional ancestors that I was blessed to have. We have no physical blood that ties us. However to all of the world and all legal meanings they are my flesh and blood. That is how I feel about them as well. In all honesty at times they are more my family than my blood and biological family simply because I have minimal contact and my relationship with that family is in its infancy (until recently was non existent). Which is why they are both ancestors of the blood and of the heart. The time that they spent raising me and being involved in my life can not be undone. They gave their blood, sweat, and tears to me. They are for my my most powerful allies. They have been there for me more than the blood ancestors. They were the first ancestors I have contacted and they were the first ones to make themselves known to me. This is the ancestral line that has been the strongest for me. My blood ancestral work is focused on more ancient pagan ancestor while my adoptive ancestral work is more with Saint and angel work (Hoodoo influences as well). It is because my adoptive Ancestors gave so much of their blood, sweat, and tears into my life and that they took me in they are also ancestors of the heart. They are of the blood because of the family ties and concepts but of the heart because there is no physical blood. Its a spiritual and memory based blood love. The bond of the heart here shows how even just being in a family for a short while can create strong family bonds. Those of the heart are the family that has passed that are not connected through marriage or blood or even legal adoption. In my case this is where my foster family lies. They did not adopt me but are still my family. I have lost several members of that family and they were all close to me. They are now my ancestors and they watch over me. Our bond is somewhat stronger than blood or law. These ancestors are some of my more recent ancestors. It was my Uncle Cleve’s passing which made me think about ancestors. He was my foster uncle and is an ancestor of my heart. His two brothers are also my ancestors here. I have a Grandfather here as well. To them and to me the fact that I did not live with them, and was not legally a part of the family after my adoption never mattered. I never stopped being their family. That is what the ancestors of the heart are all about. The ancestors of the heart are those that have passed on we considered family even if there was no blood between you. These can be friends you thought of as brothers and sisters, close friends and even those who you would consider “father”or “mother” figures. If you feel that they were and are apart of your family in your heart than they are your family and are your ancestors. Never let anyone else tell you any different. Finally there are ancestors of the spirit. For me I consider any Occultist, Witch, and Magician who worked hard to preserve the magical and spiritual arts are my spiritual ancestors. Even though I dont agree with all of their teachings and philosophies people like Gerald Gardner, Aliester Crowley, Doreen Valiente, Scott Cunningham, and many others put a lot of work into making magical spirituality acceptable and part of our day to day lives again. Those are a few of my spiritual ancestors as a witch based on the practices I have taken into my practice. As I explore Hoodoo and other magical systems other spiritual ancestors will come into my practice. For example Marie Laveau is a famous Hoodoo worker in New Orleans. In some respects I could consider her a spiritual ancestor. Other ancestors in the case of Hoodoo would in general be any one who struggled to keep African American spiritual heritage alive through Hoodoo and Rootwork. When a teacher passes I would add them to the spiritual ancestors as well. You can also have ancestors of the spirit when you are spiritually adopted into a tradition. There are many religions and paths where they are only open to people of a specific culture. Occasionally through the practice of spiritual adoption outsiders are initiated and welcome into that spiritual family. The ancestors of your initiator in these situations become your ancestors and guides as well. It is a spiritual family you have entered into and like all families they will help you and work with you if you honor them as taught. Now that we have covered the types of ancestors out there and I have mentioned the importance of working with your ancestors its time to actually start thinking about how we can work with them. Why do we work with them, and what the best ways of working with them are. There are two primary ways aside from meditation and spirit travel work that a person can work with their ancestors. These two forms are the altar and prayers. They work well together and serve as a starting point for building power with your ancestral allies. Unless one is experienced in astral travel and spirit communication using those tools right away to work with your ancestors is not the best of ideas. Prayers and altar work are all you really need. Really when it comes to working with your ancestors the only real must do I have found is having an altar of some sort where you can offer prayers and other items to them as you get to know them. These altars can evolve and change over time. The point of the altar is to serve as a focal point in your work. The altar is a place for you to offer your prayers and your gifts to them. Your altar doesn’t need to be fancy. Many people start off not knowing any of their ancestors. In which case a candle, a cup for water, and a plate for offerings is all you would need to contact them. 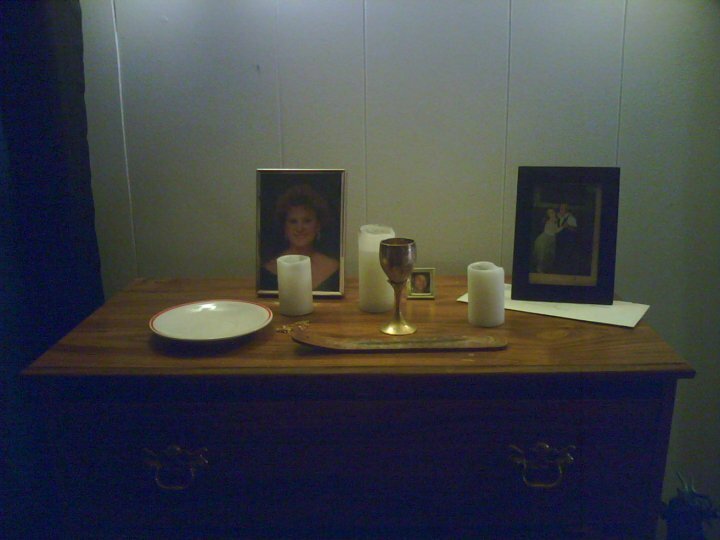 If you know your passed on loved ones and you have photos of them you can and should add those photos to the altar. The altar also serves as a place of remembrance of the dead. So its a place to put items that make you think of your ancestors as well as their photos. You want it to look nice and appealing. This is going to be their home for you in your house and their place in your life. 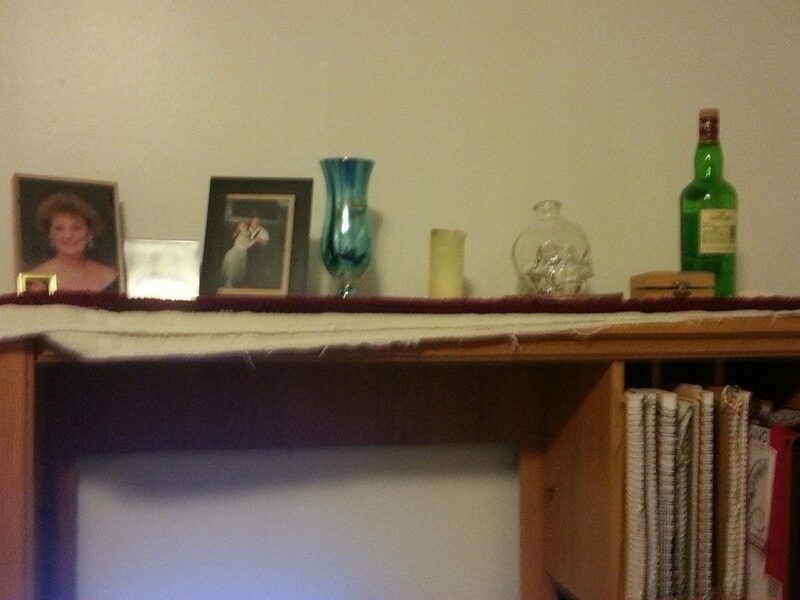 So its also important to keep the altar neat looking. As you can see by looking at these altars they have changed over time. As they have changed so has my relationship with my ancestors evolved. The reason I wanted to show you the evolution of the altar is that I want you all to know that you can let your altar change over time. Its not meant to be a static thing! Its meant to be something that evolves with you and with your relationship with the spirits! There are no limits on your ancestral altar. Let their spirits come through. There are reasons for the symbols I have placed on my altars. They grew as my focus and my relationships grew. One thing has always been common though-the focus has been on remembering them and keeping their memories alive in my life. The best way to work with your ancestors even before starting an altar is simply to pray to them. Prayers to your ancestors aren’t really any different than prayers for gods and spirit guides. You are simply having a conversation with your ancestors. Prayers are how we can communicate with them directly and its our best way to communicate with them. They can communicate with us in different ways (dreams, scents, meditations, sudden insights etc) but we can really only speak to them through prayers. “Good Morning Ancestors. I welcome you this day”. All you are doing with your prayers is acknowledging that they exist and that they are apart of your world. By giving them a simple welcome everyday you will start to feel their presence build up. You will begin to know them and feel them like you do can with other spirits and beings that you work with. The more attention you give them the more you will notice them. Prayers can be more complex and verbose. My personal prayers evolved from a simple Hello and welcome to a full blessing and daily petition for them to be here. There is a bit of praise and there is a bit of thanks. These prayers are offered twice daily. I feel that they flowed from me into the written form when I was channeling spirits and writing prayers for them. My ancestors let me know what they wanted. The final way that we can work with our ancestors is in offerings and gifts. These gifts are ways that we say thank you and show our appreciation to them. There are many ways types of gifts that can be given to our ancestors. You can give your ancestor basically anything you would give yourself or a person. They are still family and they are still people. For myself I consider flowers on graves a gift to them. I also place flowers on the altars every so often as remembrances of them. I try and give them their favorite flowers. I also try and give them their favorite things. For my grandmother I will think of her when I go bowling and send her some of that energy as play and a memory of our times together. On holidays I will set aside a portion of the food on my plate for my ancestors. I will let it sit till the end and eat that last. They eat the essence of that portion while I eat my meal. When I have finished the portion for me they will have had their fill and I can take nourishment from the food. Other cultures burn food offerings to ancestors and spirits. Some burry the food in the yard. Other throw it into the woods for animals to eat. There are some taboos in various cultures about what can and can’t be given to ancestors and the dead. If you belong to a specific culture, religion, and or tradition I suggest that you look into ways that they honor the dead. By honoring the traditions of your culture, your religion and your tradition you are honoring your ancestors in that way as well. These traditions after all were ancestral in many cases. This post has covered my own discovery into the importance of ancestral veneration. It has covered the types of ancestors and a few of the ways that we can work with our ancestors. Your ancestors are part of who you are. They are powerful allies that can teach you things you wouldn’t imagine and who can be there for you in ways none else can. Your ancestors are still here in this life and in this world just in a different form. There are many ways to work with them. Once you start working with them you will find that there are many more ways and reasons to work with them. I’ve been working with my ancestors actively for several years and my relationships with them continue to grow and develop. I am constantly learning new reasons to honor them and new ways of working with them. The more I learn the more I realize there is to learn. These allies seem to be the ones that develop the most as I develop spiritually. The more I understand spiritual and magical practices the stronger they seem to become and the more things we seem to be able to so together. Its my hope that any one who has read this will start to develop their own relationships with their ancestors and start to find the power and comfort in ancestral grace and guidance. Posted on February 25, 2015, in Ancestral worship, Beliefs, Eclectic Neo-Pagan witchcraft, Germanic Paganism, Holidays/Sabats, Personal Spiritual Development, Religious Practice, Spirit Guides, Spirits and spirit beings, Spiritual development, Traditional Wichcraft, Witchcraft and tagged Adoptive ancestors, Ancestor altars, Ancestor work, Ancestral Veneration, Hoodoo, Spirit ancestors, Spiritual development. Bookmark the permalink. Leave a comment.